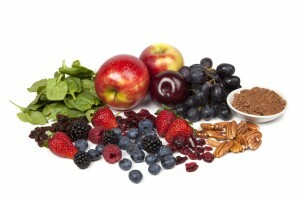 Which super foods do you need? A so-called super foods diet contains some of the most powerful nutrient containing foods on the planet. Studies have shown that many illnesses and ailments have been cured and healed just by adding super foods to our diet. Do I Need A Super Foods Diet? It makes us wonder why we don’t add them to our diet more often. Probably because most of them do not taste very nice! But when you discover what they are able to do, you might think again and start adding some as part of your super foods diet. It is not a good idea to eat a diet that is made up exclusively of super foods because they contain very little calories, but it is well worth adding a few of them to our everyday diet. Super foods are mostly plant based foods and they contain high amounts of anti-oxidants, vitamins, minerals and enzymes that can boost our health and well-being. Honey has natural anti-biotic properties and is very effective for wound healing. It has also been used to treat bronchitis, sore throats and many digestive complaints, especially ulceration. Click to find out more about the benefits of honey. Many essential nutrients recommended by experts to help protect our bodies are concentrated in spirulina. It contains the most powerful combination of nutrients ever known in any grain, herb or food. Click here to discover more about spirulina nutrition. Manufactured by worker bees to feed to the queen bee, royal jelly contains 18 amino acids and has antibacterial and antibiotic properties. Royal jelly must be combined with honey to preserve its potency and when done so helps to increase endurance whilst under stress. Click to discover the health benefits of royal jelly. Best known for its ability to heal damaged skin, aloe vera plant extract is found most commonly in both skin and hair products. When used externally its healing properties help with burns, insect skin and bruises, amongst many other skin conditions. It can be used internally to help stomach ulcers, constipation and colitis. Click here for more about aloe vera juice benefits. Chlorella contains the highest natural source of chlorophyll, the green blood of plant life, which has a chemical structure similar to haemoglobin. Chlorophyll carries oxygen around the blood supply and builds the red cell count. It also cleanses and purifies the blood stream, kidneys, liver and bowel. Click here for more about the benefits of chlorella. Sprouts such as alfalfa, radish, broccoli, clover and soybean are known to contain many different plant compounds that protect us against disease. The chemicals contained in sprouts have been known to increase bone formation and bone density and therefore help prevent osteoporosis. They are also helpful in controlling hot flushes, menopause and PMS. Perfect additions to a super foods diet.